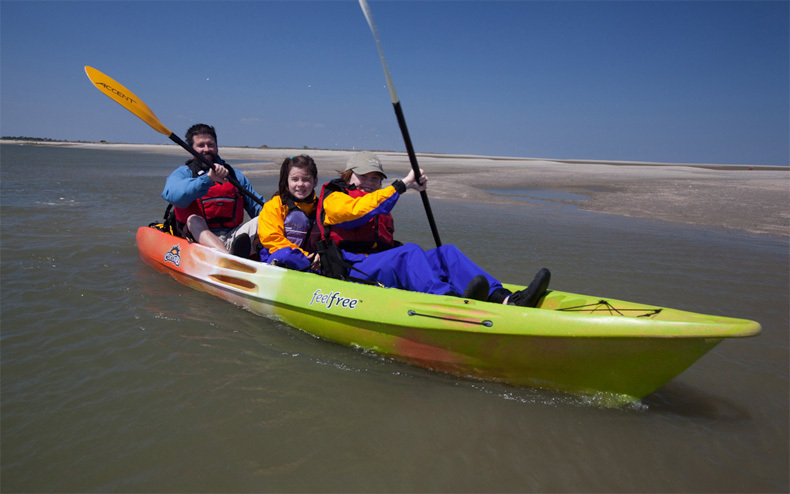 The Feelfree Corona is a versatile sit on top for 1,2 or 3 person use which is perfect for coastal and inland paddling. Feelfree Corona with optional seats fitted. The FeelFree Corona is a very stable, modern Tandem Sit On Top that is great fun for all the family. 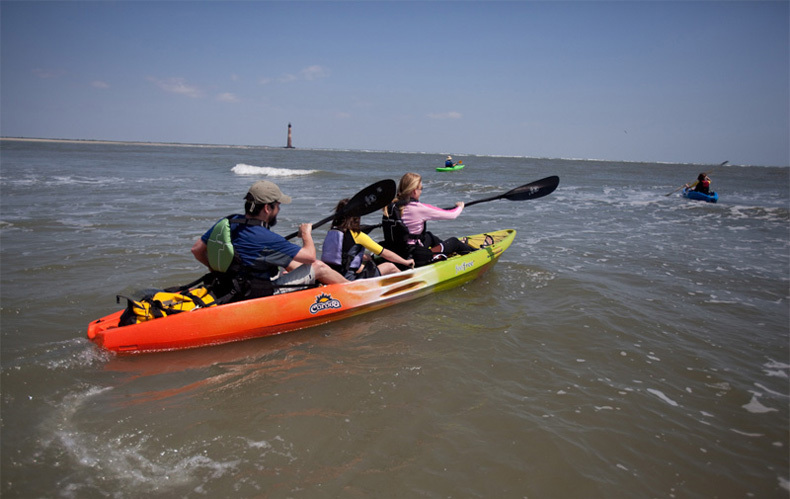 3 seat means there are various options for paddling with 1, 2 or 3 people but to stop paddles clashing we do recommend that the person in the middle doesn't paddle (ideal seat for a child). The Corona is easy to paddle and can be transported on a car roofrack to get you straight to the beach! Perfect for coastal, river and estuary paddling the Corona is super stable and will boost the confidence of anyone paddling it. The Corona features a wheel built into the keel for ease of moving about on firm surfaces, side, bow & stern carry handles, 2x hatch's with mesh bags for storage, 2x paddle parks and 2x Flush mounted rear facing rod holders behind the back seat. The wheel in the keel is designed for use on hard surfaces. It makes moving the Corona on slipways and from the garage to the driveway easier. The wheel isn’t designed for use on rough ground or sand, you will have to carry the kayak or use a trolley instead. We offer a delivery service for the Feelfree Corona throughout the UK & Ireland to home and work addresses. If you are local to our shop in Hamworthy, Poole then we may be able to deliver a Feelfree Corona with one of our own vehicles. For boats, this is free to most BH Postcodes - please call us on 01202 625256 to discuss your requirements. Buy a Feelfree Corona online from our website and collect from our shop in Hamworthy, Poole or you can collect from any branch within the Canoe Shops Group. There is no cost associated with instore collection.